cool music and things: WATCH: Bear's Den 'Dew On The Vine' plus tour announcement! 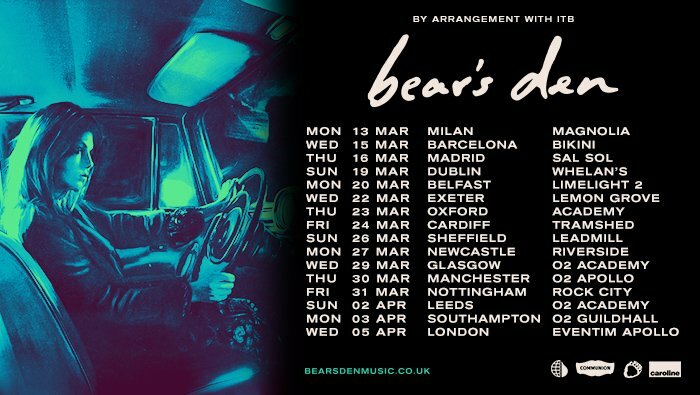 WATCH: Bear's Den 'Dew On The Vine' plus tour announcement! Exciting double whammy of news today for Bear's Den fans... they've just released this hugely entertaining new video for Dew On The Vine, which I think probably just about captures their true rivalry at table tennis. Featuring the touring members of the band, their crew and some special guests such as Whispering Bob Harris and Communion's Maz Tuppini, the video is hilarious and well worth a watch! Tickets for these new shows are available from their website tomorrow morning from 10am, and they're certainly worth seeing live - check out this recent performance on Radio 1's Live Lounge.